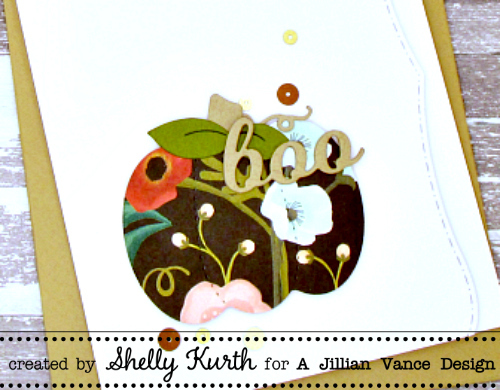 Today, I'm sharing a fun and simple Fall card with you! I thought I'd have some fun with my card and do a few things different from my usual. I started with my base, which I used the new Elegant Stitched Dot Edge die with. I then decided on a pumpkin that had a little 'style' to it, so I chose a patterned paper that I thought would be fun. After I added all my pumpkin 'accessories' and then topped it off with a 'boo' die cut piece (which I layered twice). This is a beautiful card, and very unique ! 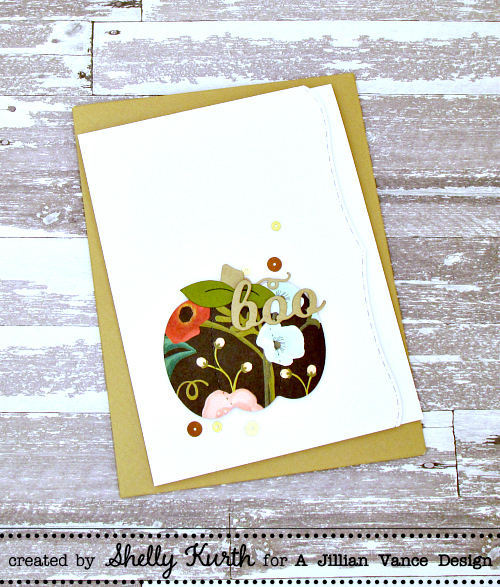 Love this gorgeous card Shelly!! !